Last night I had the pleasure of attending the highly anticipated Spring and Summer 2013 collection launch for Lazypants at Kultura in Toronto. The new design direction starts with one of the season’s hottest trends: neon! Terry Lazypants with matching hoodies were my favourites and are available in neon yellow, green, pink and orange. I can’t wait to get a pair to rock this summer. The Original Lazypants is taken to the next level with stone wash, colour tie dye, black and white tie dye and galaxy. My boyfriends favourite for summer were the new shorts with pockets made of the Original Lazypants material. It will be great for him to rock to the gym while he gets ready for his next season of hockey in September. The night was a total success with the generous support of Lazypants amazing sponsors: Amsterdam 416 Beer, DJ Justin Barkie, Flasharilla, Goodlife Health Centre, Kultura, Magen Boys, SkinnyGirl, smartwater, The Sweetest Tart, Uber and vitaminwater. 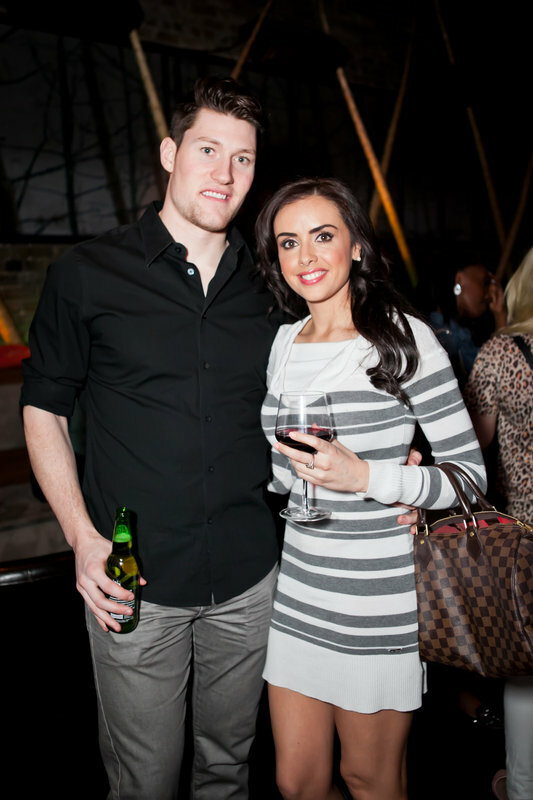 We had an amazing event checking out the latest trends, sipping wine and mingling with friends! Check out www.shoplazypants.com for more information or to find a store near you!